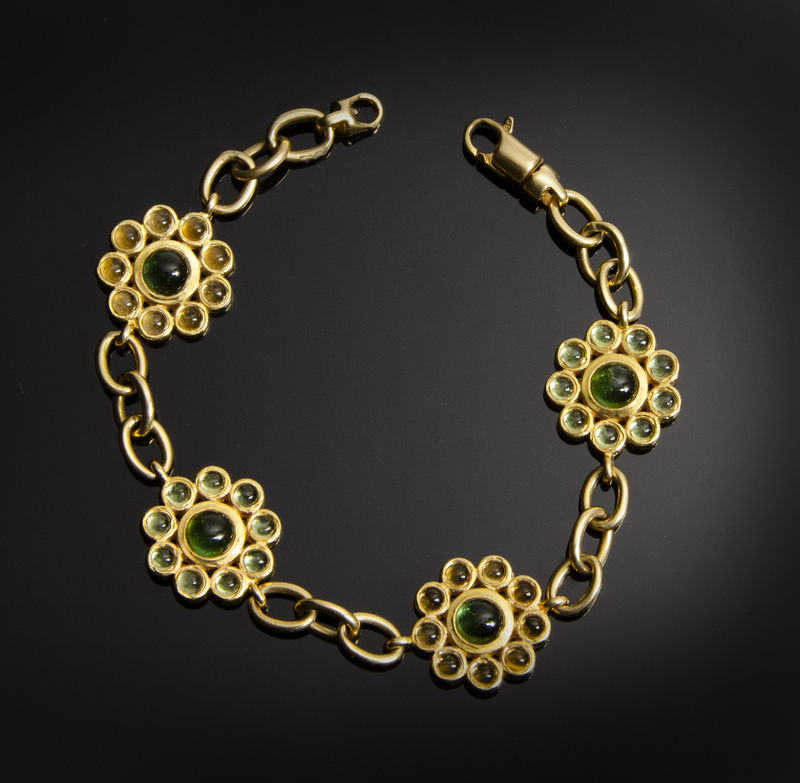 18K yellow gold flower bracelet with bezel set Tourmaline, Citrine and Peridot. 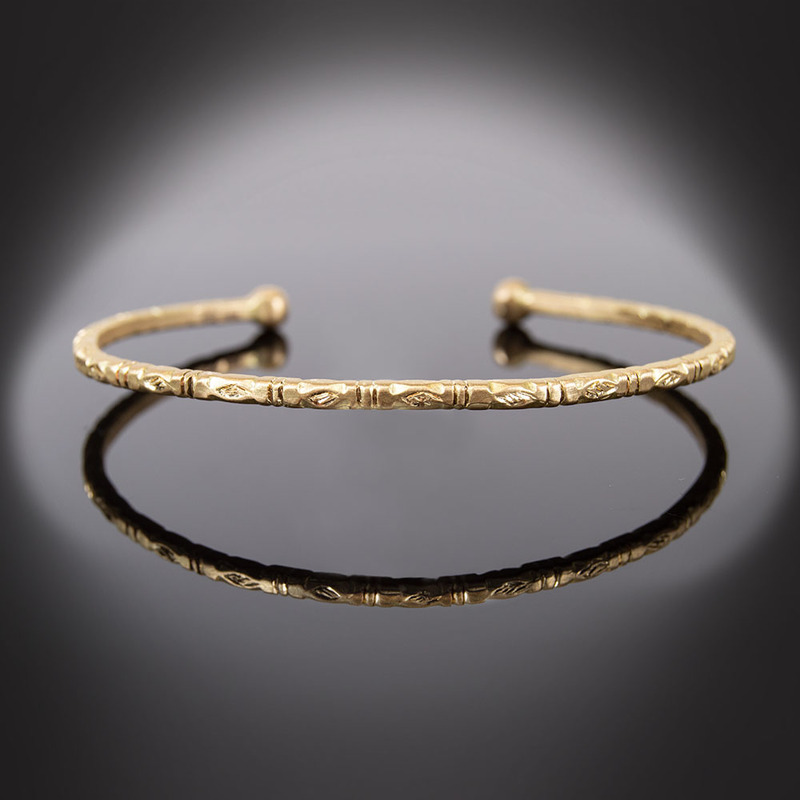 18K etched yellow gold cuff bracelet. 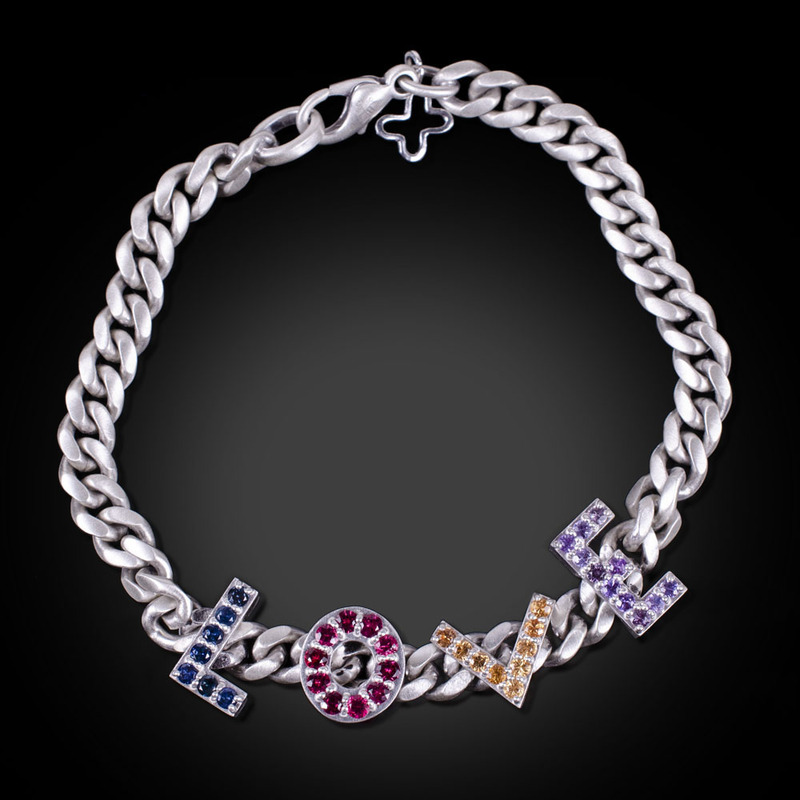 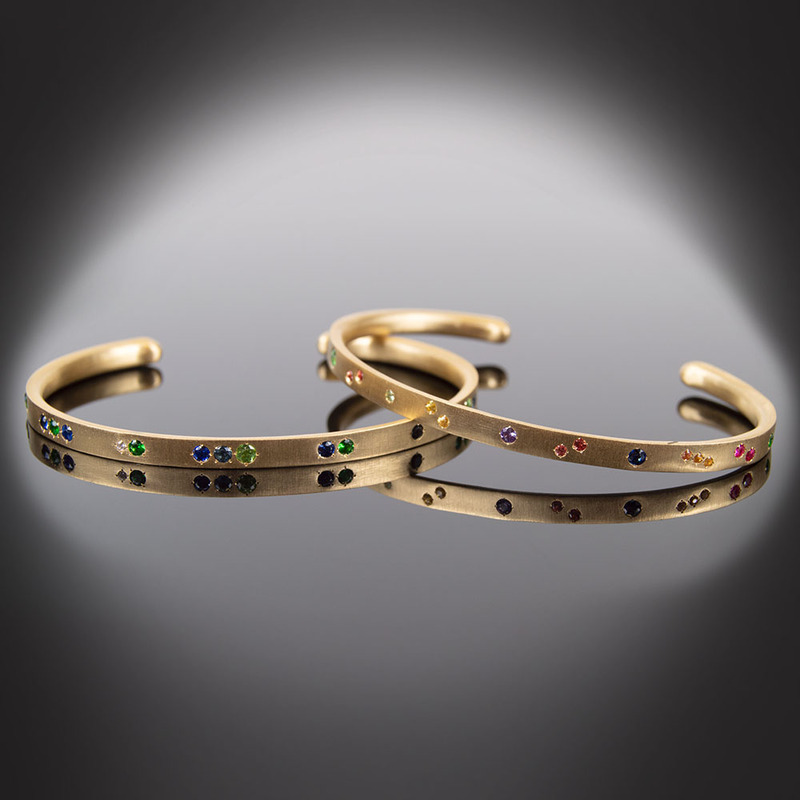 Brushed sterling silver LOVE bracelet with blue Sapphires, pink Spinels, Spessartite Garnet and purple Sapphires. 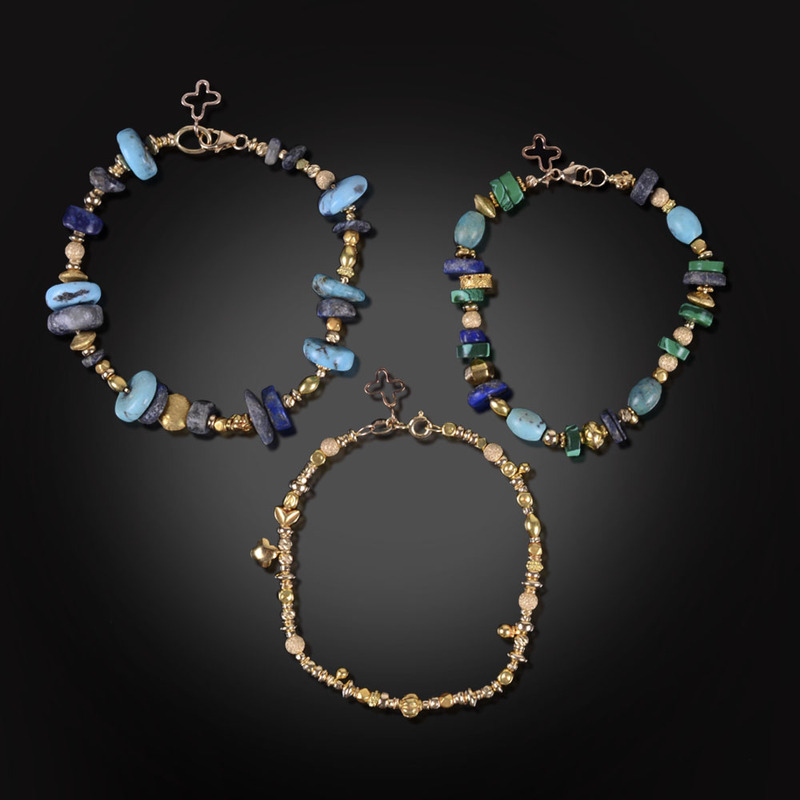 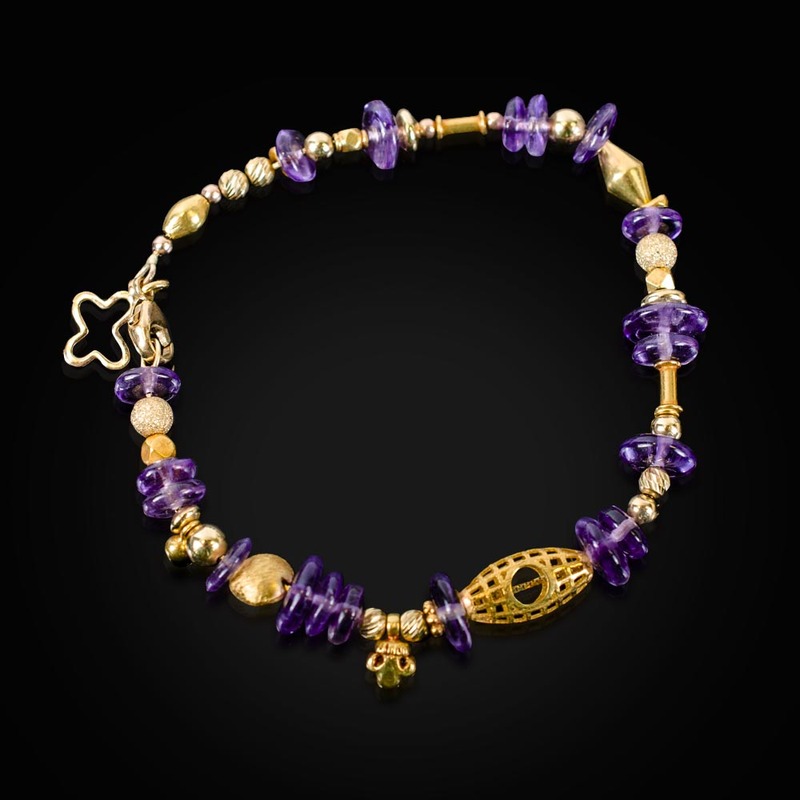 18K gold and Amethyst bead bracelet. 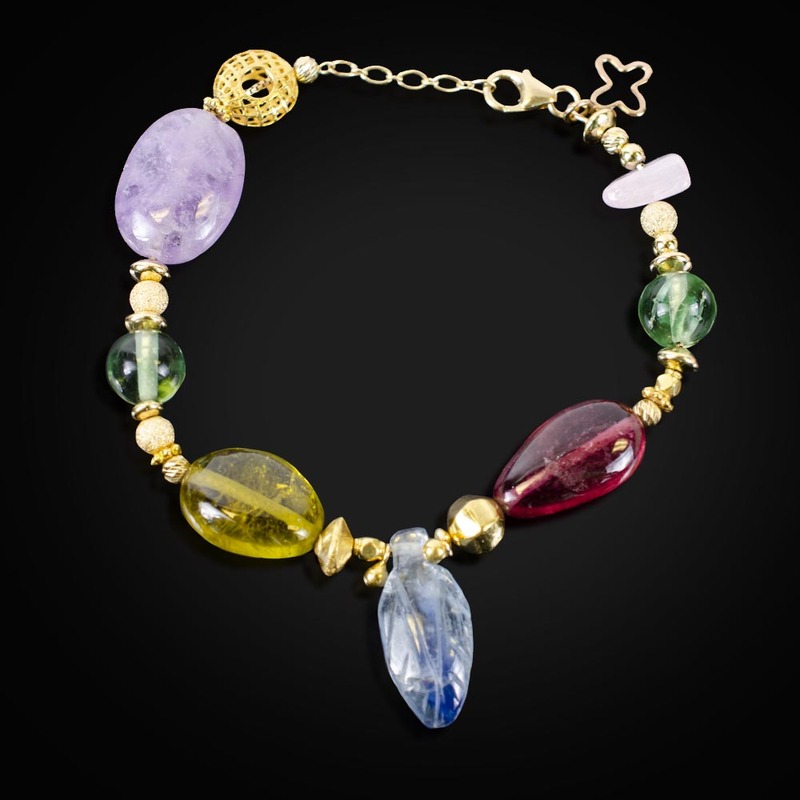 18K gold, Amethyst, Florite, Kyanite pink and yellow Tourmaline and Rose Quartz bead bracelet. 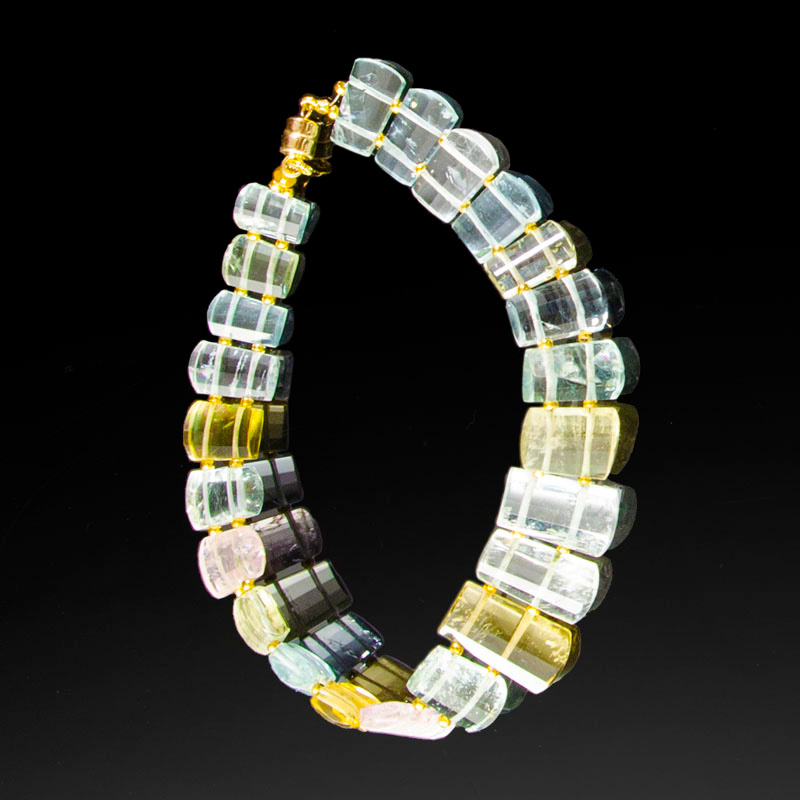 Freshwater Pearl Beaded Bracelet. 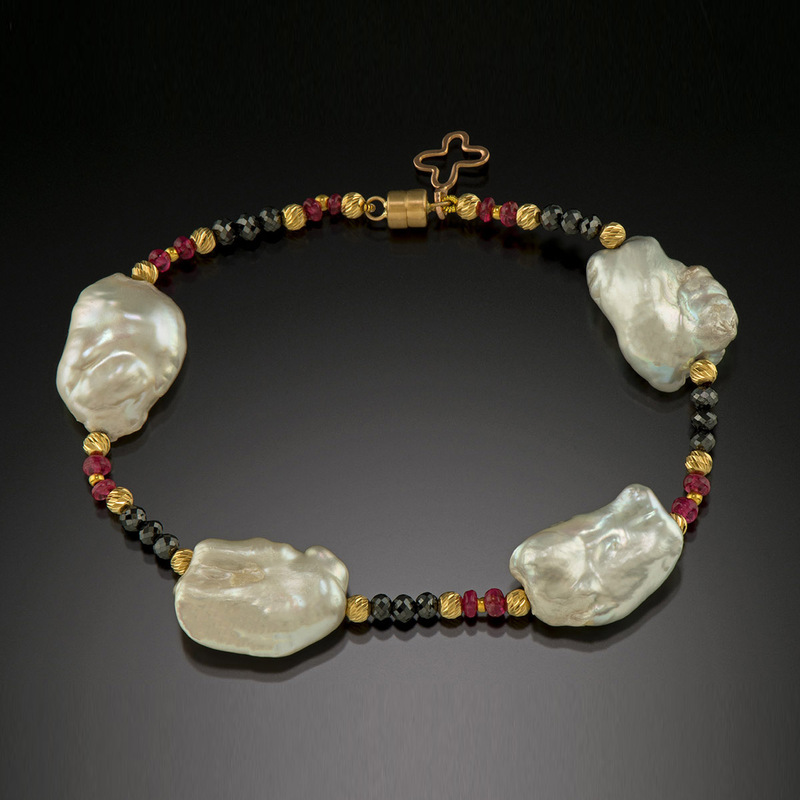 Freshwater Pearls, black Diamonds 14K gold, and red Spinel beads with a 14K gold magnetic clasp.